Interview with Tiffany Marr, chatting about managing a thyroid imbalance, supplements and medications that support the thyroid, how to support a loved one through illness, and so much more. When addressing thyroid imbalances, it can be so overwhelming not knowing where to start or which path to take. We’ve chatted about the importance of thyroid health on the podcast a couple of times before, and thyroid health is something that I continue to receive questions about. I continue to talk about thyroid imbalances because the thyroid influences so many other processes within the body. Facing a health obstacle can feel very isolating, even when you have the support of friends and family, which is why I think it’s important to keep discussing this topic. I want people to know that they are not alone, and that your current health status doesn’t define you, it is just part of your journey. That’s why I’m so glad to chat with today’s guest — she’s faced some pretty scary health obstacles, and she’s still here: living, laughing, thriving. In today’s podcast, I chat with our guest Tiffany Marr, a thyroid cancer survivor and total wellness warrior about thyroid imbalances. This episode is all about understanding how to address thyroid imbalances, supplements and medications for thyroid health, how to best support a loved one going through a serious illness, and more. Holidays got you seeing red? Grab my Keto Holiday Cookbook and take the stress out of the season! Follow Tiffany on Instagram and check out her health journey on her blog. Each scoop of Keto Collagen has 5 grams of MCT oil powder and 10 grams of USA-raised grass-fed collagen, making fatty drink making a breeze! It comes in both chocolate and unflavored varieties. I like the chocolate flavored version for my coffee and the unflavored for baking (add it to cookies, brownies, haystacks and more!). Use Perfect Keto coupon code KETOCOLLAGEN40 at checkout for 40% off Keto Collagen, Sunday November 26th only. paleovalley makes two of the best things – grass-fed beef sticks with one billion probiotic CFUs per stick, and a whole food Organ Complex supplement. With the paleovalley coupon code KETO20 you can get 20% off everything at paleovalley.com. 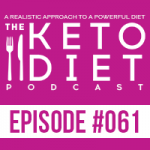 Leanne Vogel: You’re listening to Episode Number 61 of The Keto Diet Podcast. 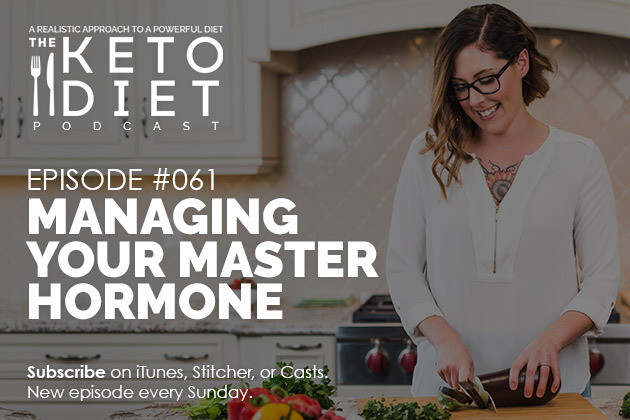 Today, we’re chatting about practicing keto without a thyroid, alcohol on keto, medications and supplements for the thyroid, supporting a loved one through disease, and so much more, so stay tuned. Hey, I’m Leanne from HealthfulPursuit.com, and this is The Keto Diet Podcast. Keto is a low-carb, high-fat diet where we’re switching from a sugar-burning state to becoming fat-burning machines. Starting keto and maintaining it long-term can be quite a challenge if you don’t feel supported. My 60-day program, The Keto Bundle, provides you with clear, step-by-step how-to on successfully adapting to a ketogenic diet, avoiding common ketogenic struggles, and healing your body completely and fully with a ketogenic diet. 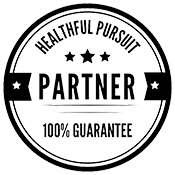 Go to HealthfulPursuit.com/bundle, and use the coupon code PODCAST all in caps, no spaces to get 10% off your order, exclusive for podcast listeners only. Now, let’s get this party started. Hey, guys. Happy Sunday. The show notes and full transcript for today’s episode can be found at HealthfulPursuit.com/podcast/e61. The transcript is added to the post about three to five days following the initial air date of this episode, and let’s hear from one of our awesome partners. The podcast is partnered with Keto Collagen, a blend of collagen and MCT oil powder created by our friends at Perfect Keto. Each scoop of Keto Collagen has 5 grams of MCT oil powder and 10 grams of USA raised grass-fed collagen, sweetened with stevia with a little cacao powder sprinkled in. The collagen supports connective tissue, ligament, tendon, skin, hair, and nail health while the MCT oil powder boosts mental performance, increases fat-burning potential, increases satiety, and boosts your fat intake for the day. Keto Collagen is great added to your daily coffee, and is a fabulous travel companion. You can use the coupon code HEALTHFUL for 15% off Keto Collagen at HealthfulPursuit.com/collagen. Unsure of the link? Simply check the show notes of today’s episode to get all of the details. If you have an idea for a podcast episode or you want to submit praise over and above the review, which you can leave by going to HealthfulPursuit.com/review. You can reach me at info@ketodietpodcast.com. I got three quick announcements for you, and one is super exciting, and as a complete podcast exclusive, you won’t find this anywhere else. Cyber Monday is tomorrow, November 27th. The internet is going to be filled with awesome coupon codes for the use on some of your favorite products, and we thought what better time to release Cyber Monday than to our podcast listeners a day early? If you’ve been with Healthful Pursuit for a while, you know we love Cyber Monday around here. Now, you don’t have to wait until tomorrow to enjoy ridiculous keto savings. We are starting the savings party early, like right now, so if you go to HealthfulPursuit.com/shop, and you pick any of my digital products, any of them, you add them to your cart and you use the coupon code CYBER, that’s all in caps, CYBER, you will get 40% off your entire purchase. It’s going to start today, November 26th at 12:00 AM Eastern to Monday, November 27th, 2017 at 11:59 PM Eastern. It will end at that time. There won’t be any extensions, so please, if you are thinking about getting any of my digital products, this will include all my digital products, not The Keto Diet paperback because I have no control over selling that or anything, but you can get The Keto Bundle, Balanced Keto Meal Plans and beyond. This coupon code is limited to a thousand uses, so you need to get your order in before it goes to the public. Again, that’s CYBER, all in caps for 40% off, I hope you enjoy it. Second announcement is that the content that we’re sharing on the episode today can be triggering for some that may have dealt with depression in the past or anxiety, so if you have and you’re triggered by conversations around that nature, I would just avoid this episode. The third announcement is that if you’re curious about more thyroid type of episodes and you want to hear more about keto and thyroid, I have done a couple of episodes in the past. They are episodes 15 and 51. Take a look at those in your podcast player or you can go to HealthfulPursuit.com/podcast/e15 or HealthfulPursuit.com/podcast/e51. Okay. Today’s guest is Tiffany Marr. She’s a keto lifestyle and gym enthusiast, as well as an operator at D.C. Water and Sewer Authority. She lives in Stafford, Virginia with her Shetland sheepdog, Temperance. After suffering with two thyroid diseases since the age of 18, and then developing thyroid cancer, Tiffany is on a mission to not just live without a thyroid, but thrive. I had the chance to meet Tiffany on the book tour when I was in Virginia, and she is the most energetic, fun-loving human. She was smiling the entire time, the entire time I was talking for like an hour and a half! She was like bright-eyed and bushy-tailed, and she’s had such a zest for life that when she shared her story, I was amazed at what she had been through, and she was sitting there being so happy and just in love with life. Without further ado, let’s cut over to this interview because it is awesome. Hey, Tiffany. How’s it going? Tiffany Marr: I’m good, Leanne. How are you? Leanne Vogel: I’m so good. Thanks for coming on the podcast. Tiffany Marr: Oh my gosh. Thank you so much for inviting me. This is a huge honor for me, so I really appreciate it. Leanne Vogel: Likewise, thanks so much. For people that may not be familiar with you, why don’t you start off by telling us a little bit about yourself. Tiffany Marr: Sure. Hi, I’m Tiffany. I live in Virginia, about 45 minutes south of D.C., and I’ve lived here my entire life. I went to college here, and I went to Sweet Briar College in Southern Virginia. I majored in Environmental Science, and currently, I’m living in Stafford, Virginia, so pretty close to D.C. I’m an operator at D.C. Water, and is a shift work job. I mentioned that because shift work is no joke when it comes to your health. Just not sleeping like a normal person, so yeah. I mean, I guess the biggest thing most people talk to me about is hormone problems, especially thyroid things. At 18, I was diagnosed with my first thyroid disease, Graves’ Disease, which led to being hypothyroid, and then later developing thyroid cancer, so I guess I like to say my mission in life is to live a fulfilled life with no thyroid. Leanne Vogel: How was that first diagnosis? I know when I was diagnosed with my first ailment, it was sort of like, “What is this?” Did you have those questions, like, “What is my thyroid? Why is this happening?” What was that process like for you? Tiffany Marr: Honestly, it was kind of terrifying., I’m not going to lie. I mean, when you’re 18, and this is actually my first doctor’s appointment I went by myself. My parents had to work, it was right after I got out of high school, and it was during the summer, and I had to just get a regular physical for college. I went in, and I thought it was just going to be another physical. Nothing major, half hour in, and then I go home. I was sitting in the room, and my primary care doctor at the time came in, and he asked me the usual questions, “How are you?” and did the eye exam and stuff like that. Then, I don’t know if you guys do this too, but he had like a big glass of water. Tiffany Marr: Yeah! Then, probably like 10 minutes later, he walked in. He’s like, “Okay. Here’s the thing. You have a very large lump on your thyroid.” Of course, I’m like, “I don’t even know what that means,” and I’m just being honest. He’s like, “You have a very large lump on your thyroid. I need to send you to this place, and you’re going to get an ultrasound and a biopsy. You have Graves’ Disease.” I was like, “What?” I mean, to hear that at 18, honestly, until probably the last couple years, I didn’t know what the thyroid was, and because I didn’t know what it was, I didn’t know how to care for it, so I mean, it was just very overwhelming and I had to put my trust in my doctor that he was doing the right thing, but, yeah, it was definitely terrifying. Leanne Vogel: Yeah. I bet, and to not even know what the thyroid is and how that process was. Then, how did you end up … What was the process like to go to hypothyroidism, and then thyroid cancer? What period of time was that that you dealt with all of those things? Tiffany Marr: I was diagnosed with Graves’ Disease at 18, and then during the summer before I went to college, and I want to say it was probably like a month or so after that first appointment where I went in and did an ultrasound, and they did a biopsy. I went and met an endocrinologist, and she went ahead and ordered me radioactive iodine treatment, which for those that don’t know, it makes you hypothyroid. It’s basically the destruction of your thyroid tissue. After that, consequently, that makes you hypothyroid, and so I lived with hypothyroidism for the better part of eight or nine years. Then, probably a couple of months before I turned 27, I went in for my yearly checkup, and I just really felt like something was off. I’m sure we’ll talk about all of those symptoms and stuff that I had, but I went in and just not feeling right, and my endocrinologist, she asked me how I was, and I told her, I said, “I don’t know anymore,” and she’s like, “That’s not a good thing. What’s wrong?” and I started listing off all these crazy symptoms. She goes, “That’s not normal, Tiffany.” That day, she ordered me an ultrasound, and I went in, and she called me a couple days later, and she’s like, “There’s something there. We need to biopsy it ASAP,” and honestly, Leanne – and I don’t recommend this to anyone, but I couldn’t do it. I couldn’t do it immediately, I wasn’t ready. I knew something was wrong, but I wasn’t emotionally stable to really handle what it could be. Then, a couple of months later when I was ready to deal with it, I went in and I got my biopsy done, and two days later, I got a phone call at work. It was my endocrinologist, and she diagnosed me with thyroid cancer. I mean, I guess my thyroid saga has been 10 years, but I lived with hypothyroidism for the longest, and of course now, I no longer have a thyroid, and so they consider me hypothyroid still. Leanne Vogel: Amazing journey. Amazing journey, and that you are quite … It sounds like you’re happy and fulfilled, and I think that that is such a big deal because that is a huge experience to go through at such a young age too. If you had to deal with something like this at like 50 or 60, I feel like you’d be more equipped, but I mean, your first doctor’s appointment to be able to go through all of this by yourself, a huge deal. Where are you right now with your health? What’s happening right now? How are you eating? How are you feeling? At first, I accepted it, and that’s because I feel like a lot of us, we just expect that we can trust our doctors, and I’m not saying all doctors are bad. It’s just we put so much trust in them that we don’t go out and figure things out on our own, do our own research, talk to different people, get a second opinion, and that sort of thing, but yeah. I mean, right now, everything’s … Actually, I’m doing really well all things considered. I’ve been following the ketogenic diet. I’d say 80, 85% of the time, I’m not going to lie to anyone, I do have those times where I want cheesecake, and I eat it, and I know that when I eat this, I’m going to feel a certain way, so “Is it worth it? Yes. Is it worth it? No,” and then I make that decision. But overall, thanks to keto – and I’ve been doing it seven months – but thanks to keto, I have excellent mental clarity, the brain fog has been lifted, I have crazy amounts of energy, which is awesome with the job that I have because I work 12-hour shifts, and that’s a long day for anybody. Then, even after work, I’ll go to the gym sometimes, so to be able to have a 15-, 16-hour day and just like no mental crashes, no body crashes … it’s fantastic. Leanne Vogel: I didn’t know that. That’s so awesome. I’m so happy to hear that. Leanne Vogel: I think I mentioned this too on the book tour and things. It’s like it’s so nourishing to hear people’s stories and hear where they came from, and then hear that watching one of my YouTube videos brought them down the rabbit hole of keto, and they found other things. Leanne Vogel: That’s why I do what I do, so that to me is just like, my heart is really happy right now, so thank you. Leanne Vogel: What was your experience adapting? I’m assuming that once your experience with thyroid cancer was over, you started keto or what was that transition like for adapting? Tiffany Marr: Yeah. I started keto this year at the end of April. Last year, I had thyroid cancer. I got diagnosed last March. I had surgery in May. Actually the day before my birthday, so happy birthday to me. Yeah. It was like a … I don’t know. It was like a phoenix moment rising from the ashes kind of thing. I felt like I was born a new person. I know it sounds silly, but yeah. The day before my birthday last year, I got my entire thyroid removed, 19 lymph nodes and the muscle in my neck where the cancer had spread. From that point on until I guess January of this year, I just was eating mostly I’d say paleo is probably a good way of describing how I was eating, but still wasn’t feeling right. I’d still have the fog, and I the body cramps and all those crazy symptoms. I guess in January, I had a friend from high school who was posting about being on keto. I’m like, “What the heck is that?” so I went to Google, and then found you, and then went down that rabbit hole. Then, I guess in late April or May, I started. I decided that I was going to try to ease myself into it. I don’t want to become overwhelmed because I do have a history of anxiety and depression, and so I was like, “I just need to take this one day a time and just ease myself into it.” That’s the thing I love about you and this community is it’s very accepting. There’s not a one size fits all keto, and the second anyone would say anything like, “You have to do it this way,” I just run in the opposite direction. Tiffany Marr: Yeah. For sure. Yeah. For the first week or two I did keto, I just eased myself into it. I slowly took out the carbs and upped my fat, which is a very interesting thing because I grew up on the Standard American Diet, low-fat, eat all the sugar and the carbs and you’ll be fine. We didn’t know any better, but yeah, so I guess … I’ll be honest. A lot of people talk about keto flu. I think I maybe had symptoms of keto flu for maybe less than 24 hours, and I think it was probably a couple of days in that I was really feeling the benefits. I just felt better. My mind felt clearer. It’s like my mind was like on fire. I don’t want to say fire, but like rapid fire, like I could think faster and I could react faster and I had more motivation at work and all these things. I want to say my adaptation phase didn’t take too long in terms of the awful keto flu that everyone talks about. I would say it probably took me almost two months to really feel all the benefits of keto, but I also, I don’t test for right now. I want to give myself a full year before I do any of the blood strips or anything like that just because just for fear of it being triggering because I did experience some binge eating issues and I just want to like really know I’m in it to win it and I’m in a good place where I felt comfortable doing that, so for now, I don’t do that, but I definitely feel like I’m reaping the benefits of keto after being on it for about seven months so far. Leanne Vogel: That is awesome. That’s so good. I’m so happy for you. Leanne Vogel: More of my interview with Tiffany Marr after this message from one of our podcast partners. This show is partnered up with paleovalley, the makers of the only 100% grass fed and finished fermented beef stick. Each stick contains one billion probiotic CFUs, and we all know how important fermented foods are to the health of our gut and the strength of our immune system, as well as boosting overall energy. Chowing down on paleovalley’s fermented beef sticks provides your body with all of the beneficial bacteria it loves in one convenient little stick. Their gut friendly sticks are gluten free, soy free, dairy free, GMO free, freaky chemical, additive, dye, and preservative free, as well as being 100% free from carbs and sugar, and made with the highest quality ingredients. Exclusive to listeners of the show, you can receive an instant savings of 20% off paleovalley fermented beef stick snacks by going to paleovalley.com/keto, and if your jaw is tired just thinking about beef jerky, I gotta tell you that these tasty treats are not tough at all, but moist, with a little snap. Again, that’s paleovalley.com/keto, for an instant 20% off savings, and if you’re unsure of the link, simply check out the show notes of today’s episode to get all of the details. Because you don’t have a thyroid, do you feel like because you don’t have a thyroid, you experience keto a little bit differently from what you’ve read online or anything? Can you attribute anything that you experienced to the fact that you don’t have a thyroid or was it pretty much like from what you’ve read, everyone experiences the same thing that you did? Tiffany Marr: I would say it might be similar. I do think that for me personally, I have to be very careful about the carbs I have throughout my day, whether that be I’m on day shift or night shift only because I’ve noticed that if I try to add in more carbs throughout the day, I start to really feel those hypothyroid, those symptoms. I experienced it actually a week or two ago where I don’t even know if I had like a sweet potato or a white potato. I wish I had journaled it, but I was eating it and I felt fine, and then it’s almost like I could slowly feel those symptoms and side effects creeping in within an hour. What I usually try to do … Some people can eat carbs throughout the day. My carbs come mostly from vegetables during the day, so spinach, and kale, and … I’m obsessed with green peppers. I could eat those all day long for some reason, cucumbers … I’m trying to think of what else. Those are my staples. Then, if I want to, I might do a little bit more of carbs at night before I go to bed just depending on my mood and if I worked out or anything like that, but I’d say for the most part, from what I’ve read, it’s very similar experiences. I will say that not having a thyroid definitely affects my everyday life in general, and it probably does affect my keto as well, and that’s just because I feel as though with no thyroid, I feel as though I’m probably a little bit more sensitive than other people, which is great, being in tune with your body. It’s a gift and a curse. I guess from what I’ve read and seen, I would say it’s probably pretty similar. I do think I need to be a little bit more cautious about the carbs and making sure I’m getting my electrolytes and supplements and stuff like that. I don’t know if that was helpful or not. Leanne Vogel: Yeah. Totally, it was. You mentioned being mindful of the carbs. It sounds like you do a carb up practice. Yes? I think the last carb up I do was maybe a couple weeks ago, and it’s really nothing crazy to be honest. It’s probably like a whole bunch of vegetables and some fruit. If I’m feeling sassy, I might add some peanut butter to my apple. Tiffany Marr: I know. Don’t report me, don’t tell the keto police. I’ll be honest. Sometimes I do popcorn with coconut oil on it. Not a whole lot, but just to give it a little bit of something in it, but I don’t want to do those very often. I do feel like I sleep better, but I also, I do try to keep up with my supplements like magnesium helps me sleep too, and I’m sure we’ll talk about a little bit on supplements a little while, but yeah, I do carb ups every now and then. I’m not on a schedule. I do whatever suits my mood. I really just try to be in tune with my body, which is something I’ve learned through keto actually. Leanne Vogel: Yeah. It’s amazing how much more in tune I am with my body now on keto than I was before. I thought I had a pretty good handle before, but this is like, like you were saying, it’s a blessing, but it can also be a curse because sometimes … blegh. Tiffany Marr: I had no clue. Tiffany Marr: I’m just being honest. I had noooo clue, and I think people that eat the Standard American Diet, they’re like, “I feel fine,” I’m like … I promise you, if you take certain things out, even if you don’t do keto, if you just take soda out or you just lessen your carbs a little bit, or just pick better carbs like a sweet potato, and I know some people don’t react to white potatoes. Tiffany Marr: I couldn’t either. I just can’t. It’s like those body cramps and it’s the mental fog, and I’m sure it’s the sugar in the alcohol, but it’s just brutal. I try to limit dairy as much as possible just because it is inflammatory. I do have it, I’m not going to lie. Sometimes I put some cheese on my salad, but I don’t go hog wild. I really try to get my fats from olive oil and coconut oil and avocado oil and things of that nature. Leanne Vogel: Awesome. You mentioned supplements a little bit ago. I’d love to chat with you about your favorite supplements and also the medication that you’re on because you don’t have a thyroid. Tiffany Marr: I’m currently in the works of making appointments with some holistic nutritionists to explore the world outside of my current medication, which is Synthroid. That is what they put you on if you’ve had thyroid cancer, that is their go-to, that is what they do. Just through research of my own the last couple of months, it’s only masking … It’s like a Band-Aid on a bullet wound. I know it’s a terrible comparison, but there’s a lot of other things that they could be doing to help me with my thyroid. Because I don’t have a thyroid, there are certain things that I could be taking to make sure my body is getting what it really truly needs because sometimes … my body is a pick your own adventure every day, so some days, I’m great, some days I feel awful, and some days it’s in between, and keto has definitely helped that. Some of the supplements that I take also help that as well, but also, I do take magnesium. It helps me sleep. It also helps with constipation. That is a big issue with people with hypothyroidism. I also take a probiotic. I think everyone should look into getting a good probiotic, especially if you’re hypothyroid. I personally currently use the Wolfe Clinic Royal Flora. Leanne Vogel: Yeah. It’s great, hey? Leanne Vogel: I love it. Tiffany Marr: It’s so awesome. I mean, I took that, I think a week and a half, two weeks and felt a huge difference. I was less bloated. I felt a little bit more regular and things like that. I’m a big fan of it. I might change at one point to a different one, but for right now, that’s definitely something I like to keep in my supplement arsenal. Something else that I recommend. I don’t have this problem anymore because my job is primarily outside, but I would say a vitamin D supplement would be good for people, especially if you have a desk job, and you’re inside all day long. Before I got into waste water, which is my career now, I was in an office and my vitamin D tanked. I was vitamin D deficient and I had to go on supplement, and that helped my thyroid at the time when I had it, so I do recommend that. Then, the other thing that I recently started trying probably I would say like a month or two ago is Equip Foods. Their protein powder and their collagen. I think you use the collagen, don’t you? Tiffany Marr: Oh yeah, gurrl! I like to use the … It’s the Prime Protein I guess. Their protein powder, usually after I work out. I’d put in some cashew milk, I do the protein powder, I put some collagen in, I mix it up and I drink it. It’s delicious, and I feel fantastic. It’s just like a good little tool to have just in case you need it, and it tastes great, which is awesome. I’m a big fan of collagen in my coffee, I know a lot of people do that, and if you do, rock on with your bad self. For me, I can tell the texture and the taste even if it’s unflavored. I know that sounds crazy, but I can. Tiffany Marr: Yeah. It’s weird. It’s almost as if … I don’t do anything crazy to my coffee. That’s the thing. I do coffee and MCT oil, and I’m a happy camper. But if I put the collagen in, even a half scoop, to me, there’s a different taste to it, and I’m not sure if my taste bud there is sensitive because of having no thyroid. I don’t know if that’s a thing, but it definitely tastes different to me, and also I noticed that if I have that protein with my coffee in the morning, I do notice a difference in terms of energy level, like I need to start my day off with a good amount of fat and little protein and little carbs to set my day up to rock and roll throughout the whole day. Leanne Vogel: That’s awesome. That’s really awesome. Have you looked into Red Light Therapy and photobiomodulation for thyroid stuff? Tiffany Marr: No, I haven’t. I have read a research about like the sauna, sitting in the sauna, which is good for you I guess, and I do sit in it when I’m in the gym, but no, I haven’t heard of that. Leanne Vogel: It’s something I’m trying out. I got a thing called a Joovv Light, and I had to get rid of my sauna space because it wouldn’t fit in our 200-square foot home, and I was really frustrated and really missing it, and then one of our listeners recommended Joovv. I chatted with them, I got one, and I’ve been using it to try to stimulate my thyroid healing so that I can actually get off the meds for good. I still have to go for my first test, but I’m feeling like even at 60 milligrams with my desiccated thyroid because like you, I was like, “I’m not getting near that Synthroid stuff. I’m not doing it,” so I take desiccated, and I’m finding even at 60 milligrams, which is where I go when I’m not on tour. When I’m on tour, it’s 120, I’m a total stress-case, my thyroid is like screaming at me, but even 60 is getting too high for me. I can just feel like I’m high, like feeling as like just jittery, grumpy, I can’t sleep, I’m tossing and turning, I get really moody, I’m not hungry at all. My appetite completely goes away. These are the signs that I’m getting by using this light, so I think I’m even going to lower my dose. I’m still playing around with it. I just wondered if you had heard of it. It’s looking like because it focuses primarily just on the Red Light Therapy, it might even be more powerful than the Sauna Space, and you only have to sit in front of it for five minutes a day, which is way easier too, so yeah. Just something to think of, and anyone listening too, once I know for sure that it’s the best thing ever, I’ll share it, but if you’re totally curious, you can check out Joovv. I think it’s Joovv. I’ll include a link in the show notes anyway so you can check it out, but I was just curious if you had heard of it. Tiffany Marr: I haven’t, but you know now, I’m curious, so I can’t wait to hear more from you about that if it’s really helping because, I mean, I love sitting in the sauna at the gym. I just sit in there like probably five to 10 minutes, and I do feel better, but if that’s something I can keep at home, that would be even better. Leanne Vogel: Yeah. It’s like I’m looking at it right now. It’s probably, I don’t know, eight inches wide by, I don’t like, like maybe 60 inches tall, and that’s it, and it just hangs on a door. It’s so easy. Tiffany Marr: Great. That’s much easier than your pocket sauna. Leanne Vogel: It’s really good. Yeah. There just wasn’t a way. We actually tried to plan to bring it with us, and I’m like, “Where are we going to put this?” It was just too much of a headache, so I ended up providing it to a very, very nice individual who now is hopefully using it every day, but yeah, just something to think of too. I’m always trying to look for better things because like you said, although the supplementation is super important, and especially when it comes to the fact that you don’t have a thyroid, you’ll have to take hormone for the rest of your life, but is there a better way, are there other things you can do to support that, so it’s more of a holistic approach? I’m really excited to see what you learn about it. I really wanted to set a foundation of being on keto just to notice how I feel when I’m really focusing on eating these high fats, and now, let’s play with, let’s look at a new, let’s talk to a nutritionist, go from a holistic approach, and so yeah, I’m definitely excited. I’m going to have to look up the Red Light thing. That sounds really cool. Leanne Vogel: Yeah. Cool. Awesome. I do have a question. We chatted a little bit about how we feel when we are hyperthyroid, if we’ve taken too much medication. I’d love to chat with you a little bit about the symptoms you were experiencing when you went to your doctor and thought that there was something wrong when you were diagnosed with thyroid cancer, kind of what that felt like and the symptoms you had with that. Tiffany Marr: Sure. Hypothyroidism, I think a lot of the listeners understand what it’s like. You’re getting the weight gain, you’re having a hard time losing it, you have very little energy, you might be depressed, constipation, really to focus on anything, mix up words. That was a big thing for me. Muscle aches, heart palpitations. The list goes on and on, and I definitely think that having known that when it was a month or two before my yearly appointment, I started to really feel the symptoms and it’s like nothing I did could make it better. I will say that the thyroid cancer symptoms are very similar to hypothyroidism, but exponentially worse. I’m talking about weight gain, and it was like I could lose a certain amount … I don’t think the pounds matter, but I would lose it, and then I’d gain all back two weeks later, even though I was doing the exact same thing. I mean, it wasn’t changing anything. Okay. Great. One co-worker would tell me that, and I would leave, and Leanne, I’m not joking, two minutes later, I couldn’t remember anything he said. I’m like I’m trying not to be upset because that was really overwhelming for me because when I was younger, I had a great memory. I could remember everything, and even before I got cancer, I could still remember silly little facts about people I met at some birthday party or some wedding. I could still remember those silly, little things, and it’s like I couldn’t even remember something so simple. That was really hard for me because one crew member would tell me how to do it, and I would call a different crew member to say, “Hey, how do you do this again?” and he would tell me, and then I would just break down a cry, because it’s like, “What’s wrong with me? Why can’t I remember anything?” I started carrying around a little notepad, and they would tell me how to do something, and it could be the simplest thing, “Press this button, then do this,” kind of stuff, and I would still even have to write it down because I couldn’t remember a few minutes later after they told me, and that’s when I knew something was wrong. Yeah, I had a little bit of memory loss, but it wasn’t that bad, and I think the other thing was my depression and anxiety really took a hit. It runs in my family as I’m sure with a lot of people that are listening, but it got so bad, Leanne that I was like paralyzed by my depression and my anxiety. I didn’t want to get out of bed, I didn’t want to leave the house, I was sleeping all the time. I mean, I would sleep 16 hours, get up, let my dog out, go take a nap, get up, let her out, feed her, and then go to bed. That’s not good. Sometimes you need those days where you sleep in and you don’t do a whole lot, and that’s fine, but it’s like I couldn’t get enough sleep. That’s all I could do. That’s when I realized, “There’s something wrong with me. This isn’t normal.” Then, the last thing that was pretty major was I was having hallucinations. I know that’s a very extreme symptom. That’s not something that’s very common. I looked it up, but if your thyroid takes such a hit, your hormones take such a hit, this is an extreme case. This isn’t everybody, so no one out there panic, but I was having hallucinations. I was on the verge of having a psychotic break, and when I went in and told my doctor this, she’s like, “This isn’t okay. You’re not okay.” Sure enough, there was the proof and all of my testing when she did that, so like I said, those are very extreme symptoms. You could have thyroid cancer and just have all the symptoms of hypothyroidism like the usual things like the weight gain and the constipation and word recollection, and brain fog, so yeah. It was definitely very overwhelming. Leanne Vogel: Wow. I can’t even begin to understand how you moved past that, and it makes sense that when you went to the doctor and you had to take that time to just take a break, I think that brings a lot more perspective to it that you just weren’t mentally able to take on anything. Tiffany Marr: There was no way. I mean, I even told my mom and my dad when … I said, “I need to go into the doctor. They found something,” and my mom was like, “I thought your appointment was in November,” and I said, “It was,” and she gave me that mom look. Leanne Vogel: That’s amazing that they were there to support you. More of my interview with Tiffany Marr after this message from one of our podcast partners. I love being Canadian, the home of the true North, strong and free, but gosh am I jealous that y’all in the US get access to Thrive Market. For all of my pals south of the border, my friends at Thrive Market are offering you 35% off your first box of groceries, plus free shipping and a 30 day trial. Imagine spending only $9.95, as opposed to the $20.99 on raw cacao powder, or $7.45 on avocado oil mayo, as opposed to $13.99 on other online shopping sites. So, on top of their everyday wholesale prices, the extra 35% off your first box of groceries, plus free shipping, is going to transform a regular, $100 grocery run, into a $50 to $75 Thrive Market order, for the same amount of things. Go to thrivemarket.com/hp to get your instant 35% off. This offer is available to new Thrive Market customers only. Unsure of the link? Simply check out the show notes of today’s episode to get all of the details. Do you feel like you had the support you needed to push through a difficult period, and if so, if somebody’s listening who maybe has a friend or family member who’s going through a similar thing that you are, is there anything that they could do to help? Sometimes someone just needs to sit down and cry or someone just needs to sit down and scream, and not necessarily at you, but just to let those emotions out because life is wonderful, but life is also scary. It’s a beautiful mess, and we need the support of others even if they don’t have all the right answers or have any answers, and just to know that you’re not alone is probably the most important thing. Leanne Vogel: Yeah. I totally agree. And just giving them … It sounds like holding that space for them and allowing them to just do what they need to do, and them knowing that you’re there to support them. Leanne Vogel: Cool, amazing. Kind of in the same line, I’m sure there are a lot of women listening that maybe are frustrated with the support of their doctors or lack thereof. Are there any tips that you have for working with medical professionals and getting what you want or finding what you want? It sounds like you’re now on a new path of finding medical professionals that can help you and provide alternative treatment suggestions. Do you have any tips for people that are in that same boat of just feeling frustrated with their medical care? If they’re not going to do that for you when you’re asking, find another doctor. Honestly, if I knew at 18 what I know now at 28, my life would be different. I would have been an advocate for myself. I would have fought for, “No. I don’t want to do this. I don’t want the radioactive iodine. I’m 18, I don’t need to be killing off my thyroid. I want find a better way,” but I was 18. I didn’t know, so if you’re out there listening and you’re frustrated, one is okay to be frustrated, and that’s good. That means you care and you want to find the best way for you to heal your body and heal your hormones. Go look for a different doctor. Go the holistic approach. Not all doctors are bad, but you need to also do your own research and not just put all your faith in what they’re telling you because unfortunately, a lot of doctors and endocrinologists are, they’re entrenched in this old way of thinking when it comes to the thyroid, and I think it’s important that we just don’t take what they say at face value. We need to go out and do our own research. Leanne Vogel: Like a champ, I totally agree with you. My last question for you just to wrap things up, I always like to ask my keto experience guest, what do you feel is missing in the keto space specifically for women? Tiffany Marr: I think all of us can agree that there needs to be way more research out there all over scattered through the area, and all in the news, all this research and about how the keto diet can really help women live fulfilling lives, whether you’ve got PCOS or you … I know you had experience with amenorrhea, or thyroid dysregulation, anything like that. There needs to be more research just plastered throughout the entire internet and the TV. I also think that there’s a lot of issues I see now with compassion, and it bothers me because while I have found a fantastic, wonderful, amazing group of women mainly through Instagram on keto, and some people are paleo, and that’s fine, we’re very supportive of each other, but then you’ve got people that there’s just, people need to be more compassionate for others. I feel like there’s just too much people tearing other people down, and that’s not helpful, that’s not productive. There is no one size fits all. Let me say that again: there is no one size fits all of keto. My keto is different than Leanne’s keto, which is different than my sister’s diet or the next person’s way of keto, but I’m not going to trash anyone that does it differently, and they’re not going to … Your vibe attracts your tribe, so the people that I hang with aren’t going to say, “You’re doing it wrong,” and people out there that bash other people, it’s just it’s really unfortunate. I just think we need to be compassionate towards each other and also compassionate towards ourselves. Leanne Vogel: Wonderful. I couldn’t agree with you more, well said. Thanks so much for coming on the show today, Tiffany. I can’t believe how fast time flies when you’re having fun. Leanne Vogel: I know, I know. It’s crazy! Thanks so much for coming on the show. The show notes and full transcript for today’s episode can be found at HealthfulPursuit.com/podcast/e61. The transcript is added to the post about three to five days following the initial air date of this episode, and thanks again, Tiffany for coming on and sharing your wisdom and your experience. I know it’s going to benefit a lot of listeners today. Tiffany Marr: Thank you so much, Leanne. I really appreciate it. Leanne Vogel: That does it for another episode of The Keto Diet Podcast. Thanks for listening in. You can follow me on Instagram by searching Healthful Pursuit, where you’ll find daily keto eats and other fun things, and check out all of my keto supportive programs, bundles, guides and other cool things over at HealthfulPursuit.com/shop, and I’ll see you next Sunday. Bye.